Hello ! 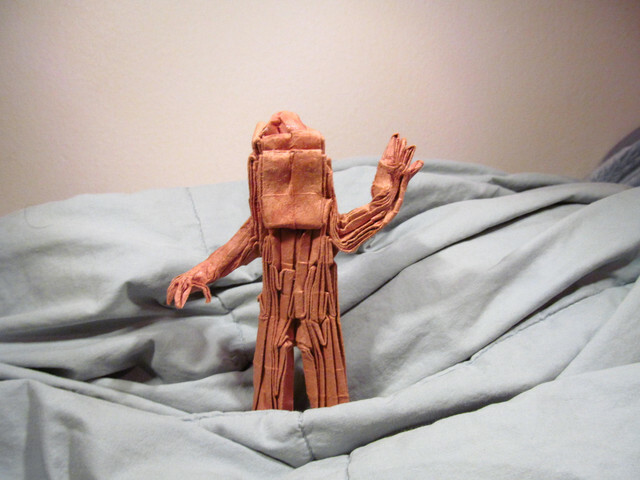 I am somehow a "intermediate" level origamist wich search to make a groot model. I found on internet a crease patter of it on this forum but wonder which "shadowfold" can be the most useful for me in order to solve it. Also if you mind indicate me which path to follow for the sequel of the creasing. What do you mean by "shadowfold"? That model is harder than it looks to form the pot. 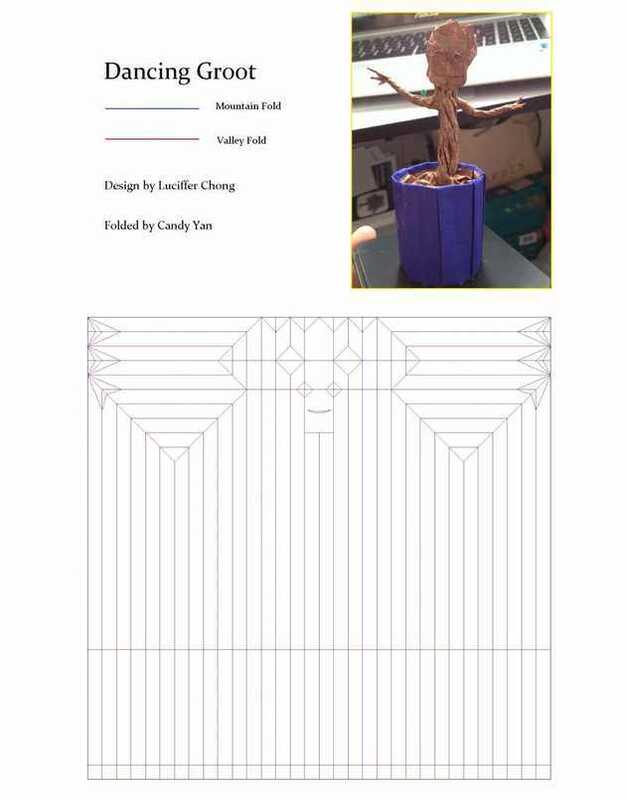 If you want, I have a model of groot that I've designed. If you want, I'll draw up a crease pattern. This one is also a 32 by 32 grid but has legs and a woody texture. Lucifer Ching model is what you want to achieve ..if by shadowfold you refer to the area to go under or behind..you then have to work out the horizontal lines...which get tucked under or reversed behind..
Of all the offers of help I receive I would never suggest a substitute if that's what you need to finish ..